The royal wedding between Meghan Markle and Prince Harry had its memorable moments: From the look on the groom's face when he first spotted Markle down the aisle, to the joyous gospel choir singing "Stand By Me," to Bishop Michael Curry quoting Dr. Martin Luther King Jr. And let's not forget every priceless reaction we saw on the faces of the British aristocracy as they witnessed many historic firsts at St. George's Chapel at Windsor Castle on Saturday. 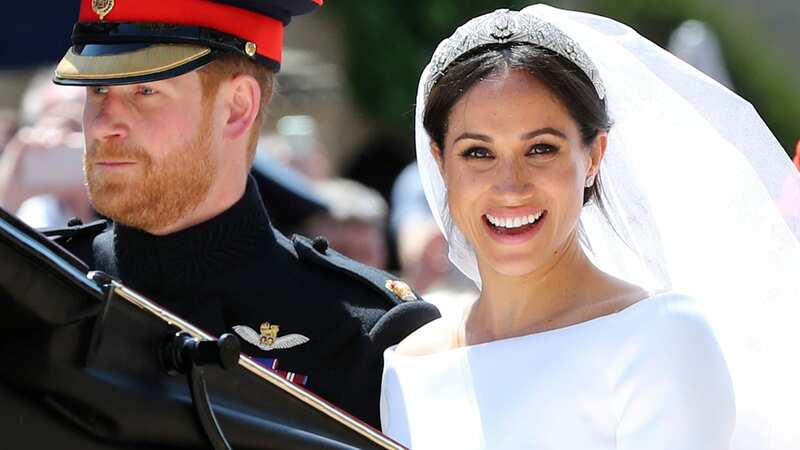 But it was the subtle details that made the biggest statements as the new Duchess of Sussex put her feminist stamp on her big day. The bride worked with British designer Clare Waight Keller, the first female artistic director of the historic French fashion house Givenchy, to create the simple yet stunning white silk gown that she wore down the aisle. "After meeting Ms. Waight Keller in early 2018, Ms. Markle chose to work with her for her timeless and elegant aesthetic, impeccable tailoring, and relaxed demeanor," according to the official press release released by the palace. "Ms. Markle also wanted to highlight the success of a leading British talent." Markle promised to love and honor Prince Harry but drew a hard line when it came to the word "obey." The feminist princess nixed traditional vows and instead declared: "I Meghan, take you, Harry, to be my husband, to have and to hold from this day forward; for better, for worse, for richer, for poorer, in sickness and in health, to love and to cherish, till death us do part; according to God's holy law. In the presence of God I make this vow." Amen! For the first time in royal history, a woman trumpeter joined the ranks of the elite Household Cavalry, which played as the bride made her way into St. George's Chapel. As one of six trumpeters who marked the beginning of the celebration, Lance Corporal Kate Sandford, 29, told Good Morning America, "I feel very proud to be picked to perform on the day." Prince Harry and Meghan Markle tied the knot on May 19, the birthday of Queen Charlotte (born Sophia Charlotte of Mecklenburg-Strelitz) who is believed to be the first biracial British royal. According to the Washington Post, historians say that Queen Charlotte—who married King George III in 1761—was a descendant of an African branch of the Portuguese royal family. Markle also included nods to her African-American roots on her wedding day by inviting Bishop Michael Curry to deliver a rousing sermon and having the Kingdom Choir gospel choir perform during the ceremony. Within hours of becoming the Duchess of Sussex, the Royal Family website run by Buckingham Palace introduced Markle's new official biography in which she states boldly: "I am proud to be a woman and a feminist." The site also details her work advocating for women around the world with UN Women in 2015 and World Vision in 2016. In 2017, the Duchess visited the Myna Mahila Foundation in India, which focuses on empowering women through access to menstrual hygiene products and employment opportunities. To continue her support, the non-profit was selected as one of seven charities that the newlyweds chose to benefit from donations made in honor of the royal wedding.